Easy Track Weft SealerTM is a revolutionary item which guarantees NO Shedding of tracks or wefts. This ground-breaking product can satisfy the needs of both human hair users and those who sell hair products. 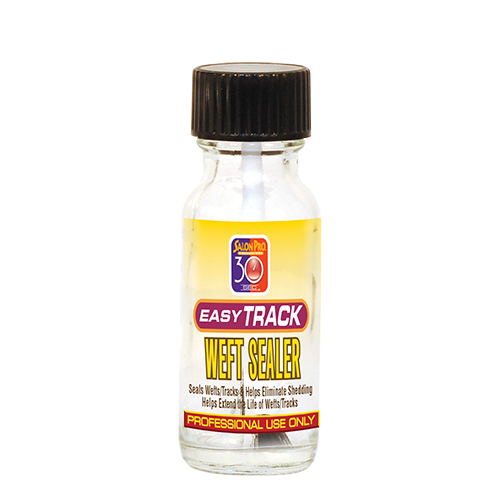 Very Economical: Easy Track Weft Sealer‘s NO Shedding guarantee provides protection for the long-term investment of purchased hair. Provides a High level of Freedom-WATERPROOF: Easy Track Weft Sealer users do NOT need to worry about shedding or loss of hair during situations such as rain, swimming, partying, workouts or other physical activities.